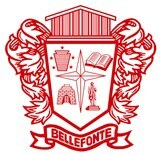 Bellefonte Area School District is located in Centre County and is at the geographical center of the state. The Pennsylvania State University main campus is only 10 miles away. Bellefonte Borough is centrally located in the 118 square mile district. Benner, Marion, Spring, and Walker Townships surround it with rural and suburban communities. Interstate 80 and Interstate 99 providing easy access to the light industry, scientific manufacturing, and agriculture that support the local economy.